The new hardtail is a 27.5+ or 29+ trail bike that can also accommodate up to 26×4.6” tires. The crew from Wolf Tooth Components are getting into the bike building business, today launching Otso Cycles. The initial product line will include two bikes. The Voytek is a carbon fiber hardtail mountain bike designed around the Otso Plus-Fat concept, while the Warakin is a drop-bar steed that’s billed as a cyclocross competitor, relaxed gravel adventure bike, and everything in between. The name Otso comes from Finnish mythology and refers to the spirit of the bear, the most important, revered, and respected animal of all. Otso is the noble king of the forest and a symbol of strength and courage. According to a company press release, the Wolf Tooth crew decided to start a bike company because they wanted bikes that did not exist. 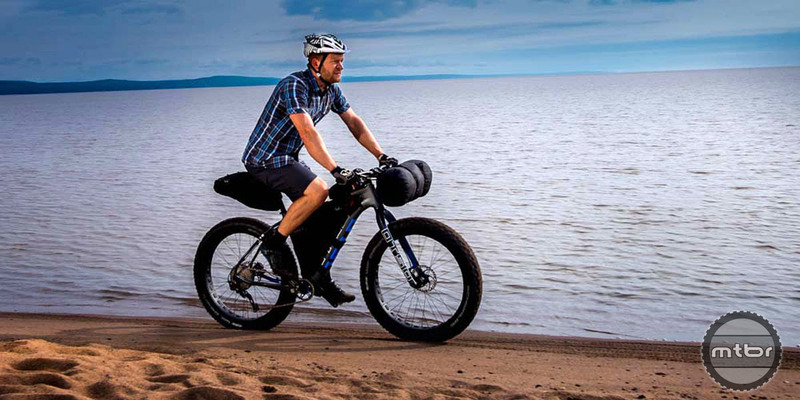 The Warakin is billed as being able to take on many different forms, from cyclocross racer to relaxed gravel adventure bike to lots of things in between. 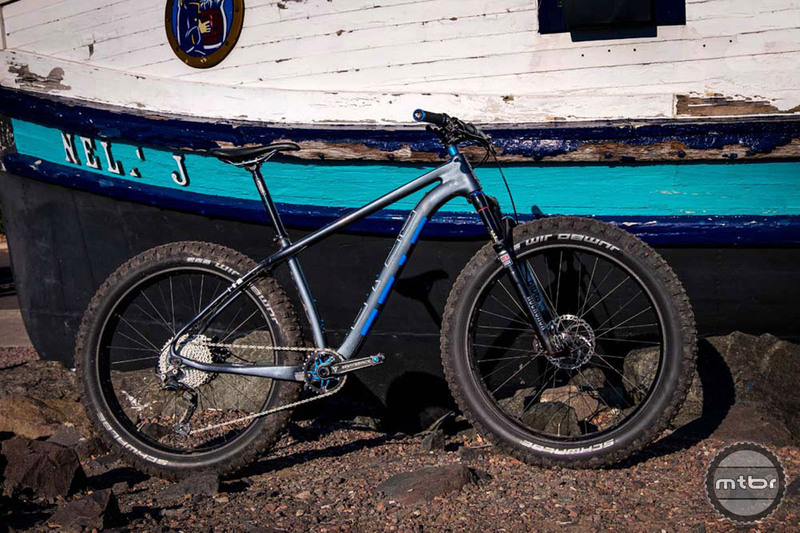 The result are two intriguing new bikes: a fat-capable bike with nimble attributes and a drop-bar bike that eschews the usual labels. The Otso Cycles team has a five-man roster: Mike Pfeiffer (mechanical engineer, frame designer), Brendan Moore (mechanical engineer, brand manager), Dan Dittmer (mechanical engineer, creative director), Jack Hinkens (operations, stunt rider, everything else), Chris Fisher (inside sales, assembly, shipping), and Tim Krueger (consultant).Collectively the Otso team has over 100 years of riding and racing experience. In the midst of WWII, the Polish army discovered a stray bear cub alone in the wild. This bear, named Voytek, grew to become a valiant soldier. Voytek drank beer, smoked (or ate) cigarettes, wrestled with the troops, and even helped carry ammunition in battle. Just like the legendary bear, Otso says its Voytek bike can be playful or serious. 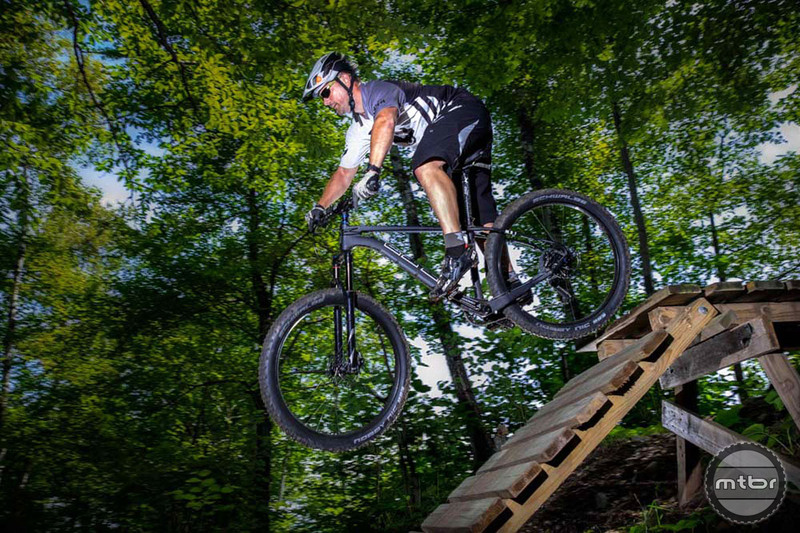 Voytek is a carbon fiber hardtail mountain bike designed around the Otso Plus-Fat concept with its narrow Q-factor. It is a 27.5+ or 29+ trail bike that can also accommodate up to 26×4.6” tires. It also featuring Otso’s patent pending tuning chip rear dropout system, where the chainstay length can be adjusted from a fun and nimble 430 mm to a fast and stable 450mm. Otso’s patent pending tuning chip rear dropout system allows the chainstay length to be adjusted from a fun and nimble 430mm to a fast and stable 450mm. Narrow Q-factor crank arms. 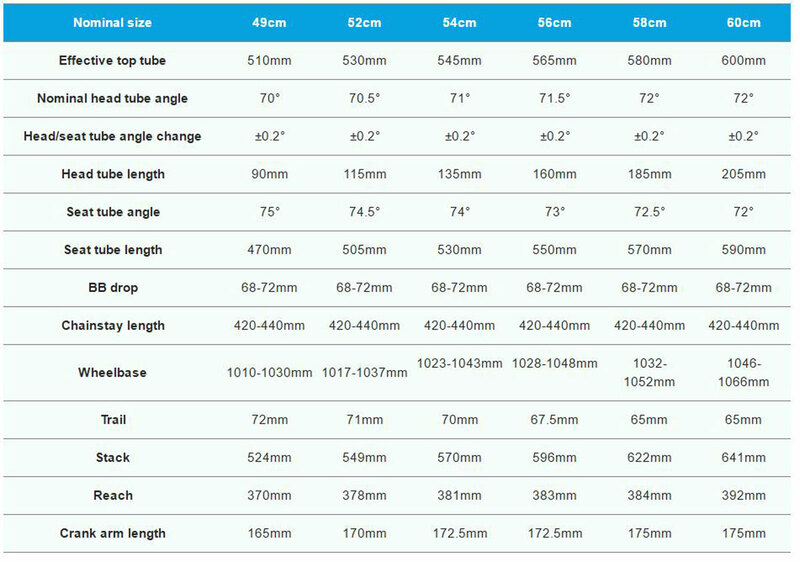 Uses the 83mm bottom bracket standard (implemented as PF107) to provide an actual Q-factor as narrow as 183 mm. To accomplish this narrow Q-factor, Voytek is designed exclusively for 1x drivetrains. Tuning Chip system developed by Wolf Tooth Components provides 20 mm of chainstay length adjustment and subtle changes to the bottom bracket drop and head tube angle. Swapping between the positions is very simple and can be done in about 2 minutes. Modern geometry — longer top tube, short chainstays and slightly slacker head tube angle. Accommodates internally routed dropper post. 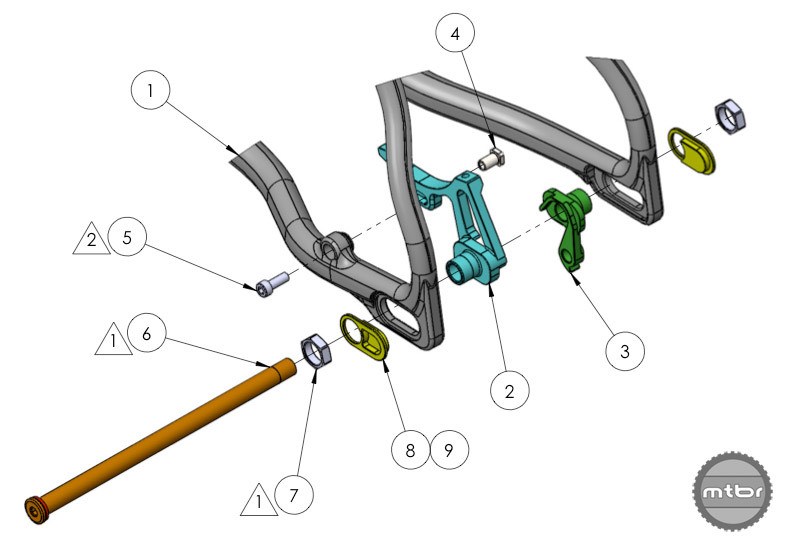 Suspension-corrected geometry is compatible with an Otso carbon rigid fork or up to 120 mm travel suspension fork. 177x12mm rear hub spacing, 150x15mm front rigid fork or Bluto hub spacing, and 110×15 with a Plus specific fork. EPS molded carbon fiber provides smooth interior walls and optimized carbon compaction. 100% carbon fiber frame. No aluminum inserts or structural fiberglass. Single speed capable with optional dropouts. Color options: matte black/gray/white and gloss metallic-platinum/blue/white. Frankset (crankset included with frameset since 83mm BB cranksets are not yet widely available) – $2299 – includes frame, custom carbon fork, Race Face Cinch Aeffect crankset, Wolf Tooth CAMO chainring, headset, and seatpost collar. An upgrade to Next SL crankset is available. 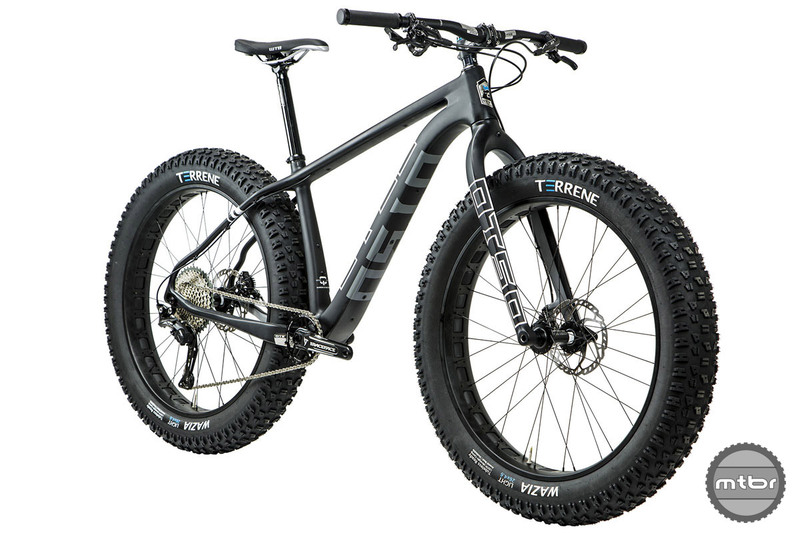 Fat bike complete – $3899 – Shimano XT build, DT Swiss 350 hubs, and Lithic Rhyolite rims. Plus bike complete (27.5+ or 29+) – $4199 with RockShox Reba fork or $4599 with Fox F34 Factory fork – Shimano XT build, DT Swiss 350 hubs, and Race Face Aeffect 40mm internal width rims. 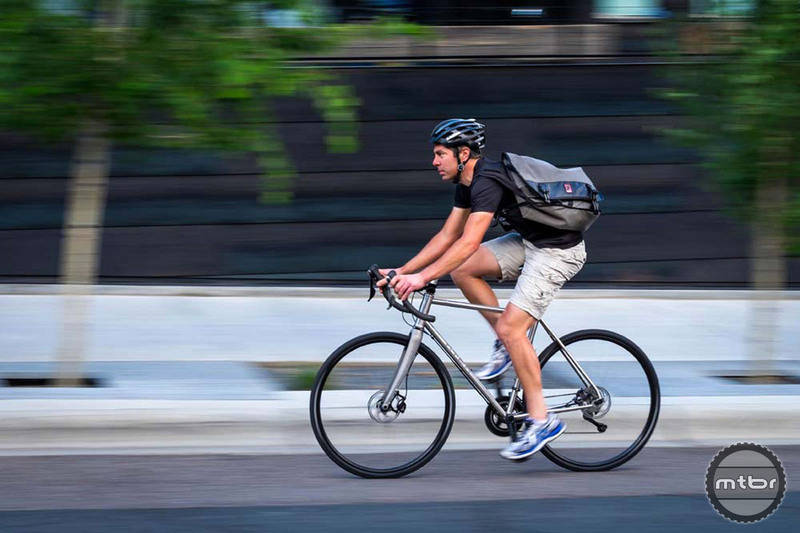 A stainless steel frame is combined with the Otso Tuning Chip system, carbon fiber fork, disc brakes and through axles. Native American folklore tells of a mythical wolf-like creature, the Shunka Warakin. Fierce and elusive, the Warakin evoked both fear and awe in those who encountered it. 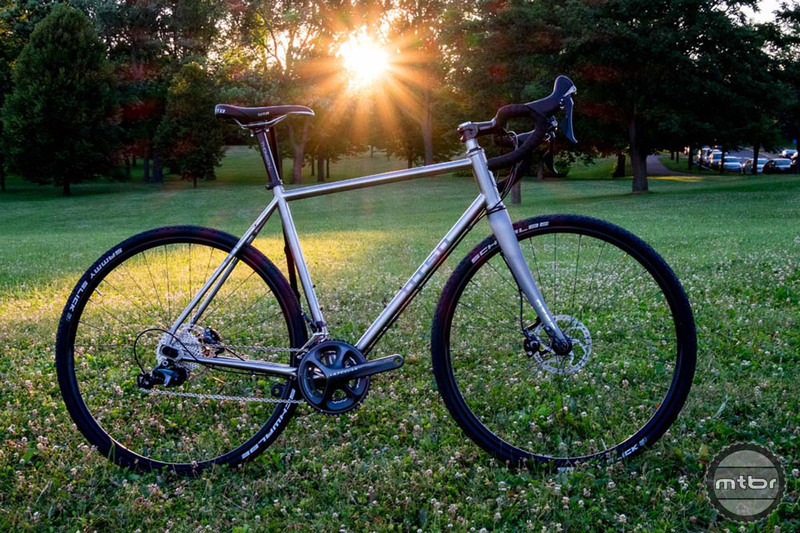 Like the legendary creature, the Warakin bike is billed as being able to take on many different forms, from cyclocross racer to relaxed gravel adventure bike to lots of things in between. The stainless steel frame is combined with the Otso Tuning Chip system, carbon fiber fork, disc brakes and through axles. The complete Ultegra build bike sells for $4399. Tuning Chip system provides 20mm of chainstay length adjustment and subtle changes to the bottom bracket drop and head tube angle. Through-axle 15×100 fork and 12×142 rear. Frame and fork accommodate up to 700×42 tires. Brushed finish with bead-blasted logos. Carbon fiber fork with tapered steerer (1 ⅛” – 1 ½” ). Numerous braze-ons to accommodate 3 water bottles, fenders, racks, frame bags, etc. Six sizes available (49, 52, 54, 56, 58, 60). Disc brakes with 160 mm rotors front and rear. 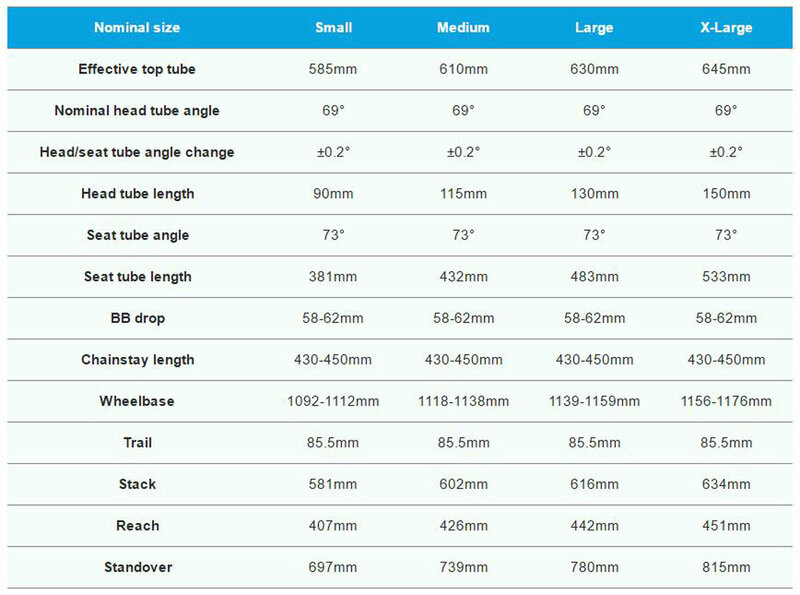 BSA threaded bottom bracket, compatible with 1X and 2X cranksets. 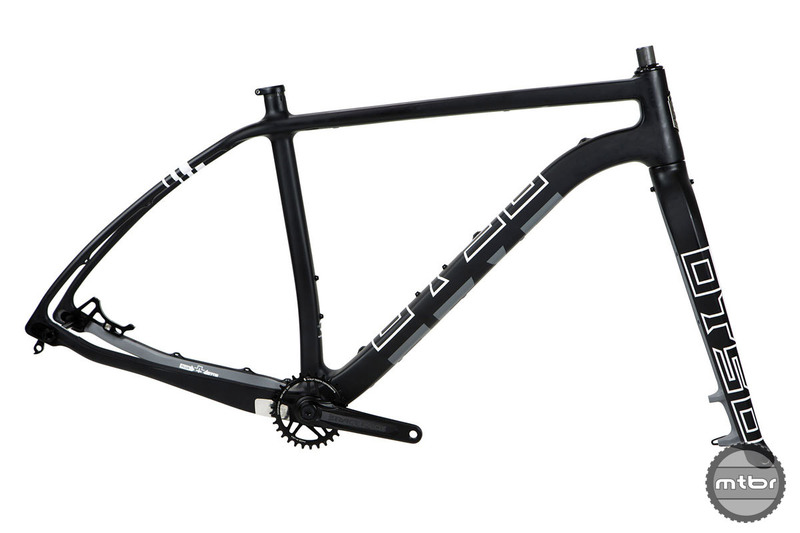 Frameset – $1799 – includes carbon fork, headset, and seatpost collar. 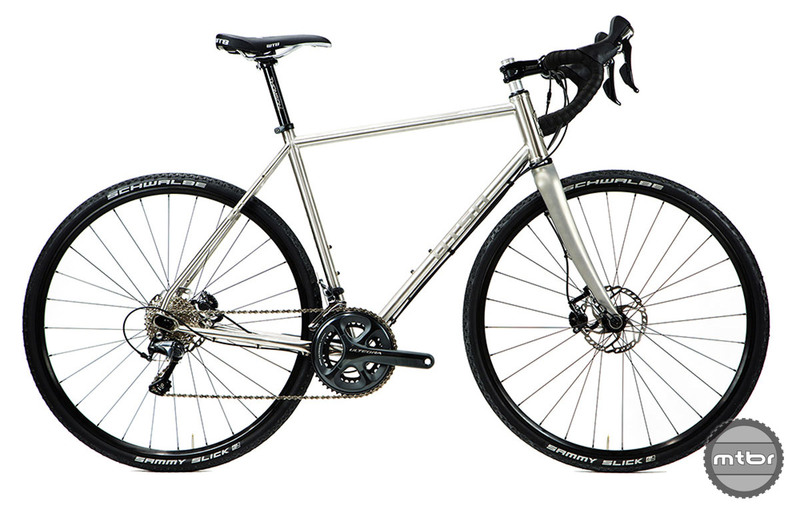 Complete 105 build bike – $3199 – with Shimano mechanical disc brakes, Lithic hubs, and FSA cockpit. Complete Ultegra build bike – $4399 – with Shimano hydraulic disc brakes, DT Swiss hubs and Thomson cockpit. For complete geo measures for both bikes, scroll through the gallery below. For more info please visit otsocycles.com. Voytek is a carbon fiber hardtail mountain bike designed around the Otso Plus-Fat concept with its narrow Q-factor. Frankset (crankset included with frameset since 83mm BB cranksets are not yet widely available) is $2299 and includes frame, custom carbon fork, Race Face Cinch Aeffect crankset, Wolf Tooth CAMO chainring, headset, and seatpost collar. A closer look at how the tuning chip works. The new bear-inspired Otso Cycles logo. Great looking stuff, unfortunately a tad out of the average joes price range.